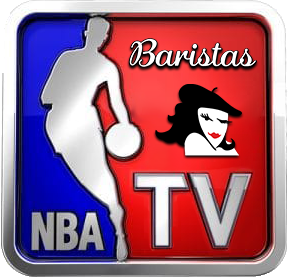 KENMORE, WASHINGTON, UNITED STATES, February 7, 2019 /EINPresswire.com/ -- Baristas1 Coffee Company, Inc. (OTCPK:BCCI) has extended its marketing to include running television commercials nationally in Prime Time on the NBA2 TV network http://www.nba.com/nbatv (the official broadcast network of the National Basketball Association) over the next seven days beginning immediately. Initially, a total of 50 TV commercials will run nationally on the network which were recently seen at the Super Bowl. NBA TV is available on Comcast, Spectrum, AT&T U-Verse, Verizon FIOS, Time Warner Cable, Cablevision, and Dish Network to approximately 53.8 million pay television households in America. In addition to its Baristas White Coffee which can be purchased in single serve cups compatible with Keurig 2.0, Baristas also sells Baristas EnrichaRoast CBD Coffee. 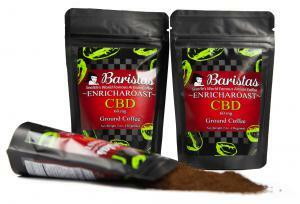 EnrichaRoast CBD uses a proprietary technology introducing CBD to the beans after they are roasted and can be seen at www.baristas.tv Baristas recently confirmed that ads for its Baristas EnrichaRoast CBD coffee and its White Coffee featuring recording artist Megs McLean will be shown at the 2019 Grammys. The media buys were made possible and were created via digital media frontrunner ReelTime Media (OTCPK: RLTR) www.reeltime.com whose capabilities are redefining how companies are evaluating and purchasing their TV, radio, print, and other new media. About NBA TV: NBA TV is an American sports-orientated pay television network that is owned by the National Basketball Association (NBA) and operated by Turner Sports; the NBA also uses the network as a way of advertising the league's out-of-market sports package NBA League Pass, and partner channel TNT. Dedicated to basketball, the network features exhibition, regular season and playoff game broadcasts from the NBA and related professional basketball leagues, as well as NBA-related content including analysis programs, specials and documentaries. The network also serves as national broadcaster of the NBA G League and WNBA games. NBA TV is the oldest subscription network in North America to be owned or controlled by a professional sports league, having launched on March 17, 1999.As of January 2016, NBA TV is available to approximately 53.8 million pay television households in America. About Baristas Coffee Company: Baristas is a national Coffee Company that is recognized throughout the US. 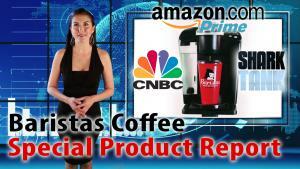 It currently produces and sells coffee related products under the Baristas brand. The Baristas White Coffee single serve cups compatible with the Keurig 2.0 brewing system is the bestselling product in its category. In Addition, Baristas sells CBD infused coffee under the EnrichaRoast CBD brand and Baristas also markets other coffee related products. 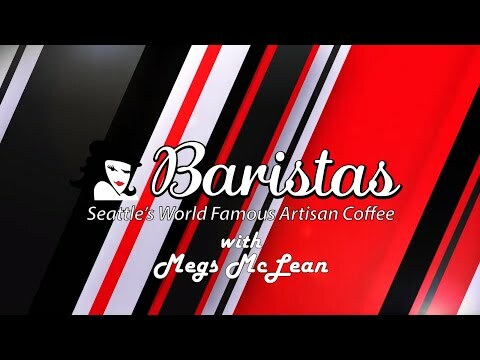 Baristas gained mainstream exposure when it became the subject of “Grounded in Seattle” the reality show special feature which aired on WE tv. It has been featured nationally including during Shark Tank on CNBC with Front Montgomery, CNN, ESPN, Food Network, Cosmopolitan Magazine, Forbes Magazine, Modern Living with kathy ireland, Sports Illustrated, 2019 Super Bowl, NFL Monday and Thursday Night Football with Megs McLean, and other notable media.